The backbone of commerce in the United States is the truck drivers who spend long hours on the road ensuring our very survival as a modern society. 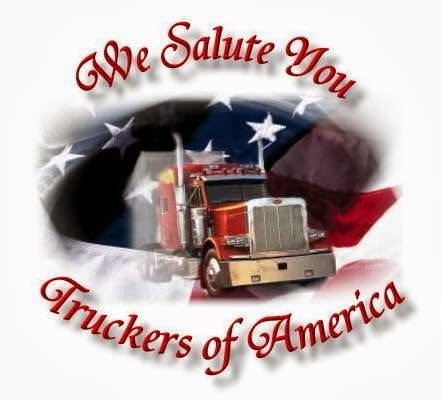 My fellow Patriot this effort is to support the truckers in a major shut down of America in a 3 day strike October 11th thru 13th. The protest comes on the heels of a massive biker rally held in Washington D.C., and other grassroots efforts to hold the government to account for various Constitutional transgressions including everything from stripping Americans of their right to bear arms, to forced health care mandates soon to be implemented across the country (with exemptions for members of Congress and corporations with insider access, of course). Mac Slavo's many articles can be read on his site SHTFplan.com where this first appeared. NOTE: A couple of relevant Facebook pages to "like" and "share." NOTE: Facebook shut down "Truckers To Shut Down America" on September 26th, 2013 and there were over 85,000 "likes." Why? ?